The 22nd Annual The Helicopter Line Queenstown Classic Disc Golf Tournament will take place in the stunning Queenstown Gardens, on on March Saturday 25th and Sunday 26th, 2017. This will be a 4 round Singles Tournament, played over 2 days on the 18 hole Queenstown Gardens course (2 rounds Saturday, 2 rounds Sunday), with the first round only being unseeded. There will be excellent trophies and lots of great prizes in the following 9 divisions: Open, Women, Masters, Masters Women, Grand Masters, Grand Master Women, Senior Grand Master, Under 18 (Juniors) and Recreational. Full results are available on PDGA event page. $35 with a $5 discount for online pre-registration and payment prior to Wednesday 22nd of March 2017 (ie. $30), except for the Recreational category which is $30 with a $5 discount for online pre-registration. There is a further $5 discount for the current members of the Queenstown Disc Golf Club (ie. $25 if pre-registered or $30 after 22 March). – Trophies in 8 divisions, plus trophy for the lowest score by a local player. Open, Open Women, Master, Master Women, Grandmaster, Grandmaster Women, Senior Grandmaster, Under 18 and Recreational. Pre-registration fee for the Queenstown Classic, with online registration and payment, is $30, except for the Recreational category which is $25. Pre-registration closes on Wednesday 22 March 2017. A further $5 discount is applicable for members of the Queenstown Disc Golf Club i.e. $25 total if pre-registered or $30 after Wednesday 22 March. Entries now closed. See you in 2018!! Accommodation – Limited accommodation will be available at the Paradise Trust Property and in the Rees Valley at $25 per night. There will also be accommodation in Glenorchy. You will be able to book on a first come first served basis when you have a confirmed entry to this event. Details to follow. Price. The price of entry will be $140 for the Pro division and $100 for the Amateur division. This will include a players pack, lunch on Saturday & Sunday and dinner on Saturday night ….not to mention a thoroughly good time! Payment details to follow. Numbers, and Phases of Registration – There will be a strict 100 player cut-off. Registration will be by online banking or by cash or cheque. Full details will follow. General Registration will open. i.e. open to all current NZ tour players and overseas players. It is strongly recommended players will have played in at least two NZ tour events or two PDGA events in their country of residence. Overseas entry will close and any leftover spots will then be available to NZ players. All registration will close, unless registration quota is full prior to this. Order of entries/Priority. The order of entries received will be determined by the internet banking time stamp on the full entry fee payment (assuming the player is eligible) or in the case of a cheque or cash payment, according to the postmark of the package containing the entry fee payment. In the event that multiple entries are received simultaneously, firstly the player with the higher NZ 2015 tour ranking shall have priority and then the player with the lower PDGA number shall have priority. If / when all available spots are occupied, a waiting list will be established. The spots will be granted to players on the waiting list in order of time of registration on the waiting list. Wild cards may be granted. The chance to purchase mulligans will be available on the day. 36 mulligans available per player – $1 each. Registration is not complete until payment has been recieved. Because of shipping restrictions, registration will close ONE MONTH prior to the event. Registration closes 01/09/16. That’s right, 1st of september 2016. Last year we had 50 entrants. Lets try and smash that number. Let everyone know about this awesome, fun, exciting event. Everyone welcome. All levels. Holes will be modified so you will have real chances at Aces. The Queenstown disc golf club are ready to host its second annual tournament of the year. The Tucker beach ‘Rush’ is set to return to the Wakatipu basin, and we are ready to showcase this beautiful part of New Zealand to the world. A solid long game is still required but those soft finesse shots will be required also. – Mens open, Mens masters, Mens grand masters, Mens senior grand masters, Womans open, Under 18. 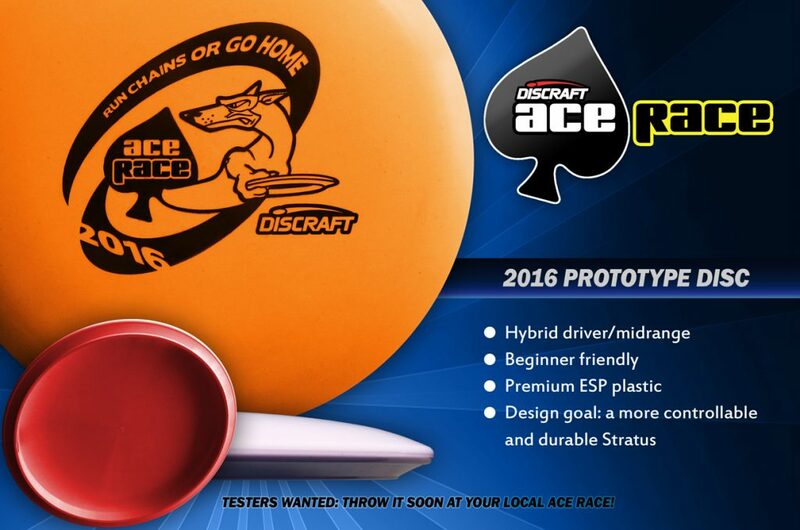 – Normal PDGA rules apply during the tournament, and local rules will be announced at the players meeting. Two days of fun disc golf tournaments on two beautiful courses. Please note that the Paradise course is long and unforgiving, with tiger, disc-swallowing rough, so is open for intermediate and experienced players only. The 21st Annual The Helicopter Line Queenstown Classic Disc Golf Tournament will take place in the Queenstown Gardens on Saturday 2nd of April, 2016. The Queenstown Disc Golf Club invites you to attend our popular and long-standing Queenstown Classic tournament. This is a 36 hole (2×18) Singles Tournament, with the second round being seeded. – Trophies in 7 divisions, plus trophy for the lowest score by a local player. Open, Open Women, Master, Master Women, Grandmaster, Senior Grandmaster, Under 18. 4 p.m. Visitors gather at Tee 1, for a welcome round with the locals. To be followed by a welcoming beer. The 18th Annual Dart River Jet Safaris Paradise Plates Disc Golf Tournaments will be held at the Paradise Trust property on Sunday 3rd April, 2016. This tournament is open for intermediate and experienced players only. The exceptionally beautiful Paradise course is especially marked out for the weekend, so is not available for play during the rest of the year. There is an 18 hole Doubles Tournament there in the morning, followed by an 18 hole Singles Tournament in the afternoon. $30 for both Doubles and Singles Paradise tournaments. $20 for either one. Pre-registration is strongly encouraged. – Trophies in 7 divisions. As for the Queenstown Classic. Ditto with the rules. 8.30am Registration at the Garden of Eden, Paradise Trust property; Frisbee HQ. Please note that there is NO DRIVING into the Garden of Eden; it is a beautiful 600 m walk from the parking area, through the Lord of the Rings scene setting where Boromir was killed by the Uruk Hai. The Paradise Trust property is just past Diamond Lake, Rapid No 1771, beyond Glenorchy (directions available on request). If you will be staying at Paradise, you will need to be self-sufficient e.g. food, camp stove, bedding. Hot drinks will be provided at Frisbee HQ. No camping, no dogs. Pre registration fee for the Queenstown Classic and Paradise Plates, with online registration and payment, is $60. Pre-registration closes on Wednesday 30 March. A further $5 discount is applicable for members of the Queenstown Disc Golf Club i.e. $55 total. For enquiries, including Paradise accommodation, please contact James Smithells, on either james.smithells@xtra.co.nz, or phone 03 442 4651, or 021 26 44 008. Come to the Adventure capital of the world ‘Queenstown, New Zealand’. Home of the Bungy Jump, world famous Fergburger, the 360degree jet boat spin, Lord of the rings scenery and the Disc Golf mecca of New Zealand. Hosted by Queenstown Disc Golf club and supported by……..
Tucker Beach Championship Disc Golf Course. 8 Divisions (Open, Masters, Grand masters, Senior grand masters, Woman’s open, Woman’s masters, Woman’s grand masters, Juniors). Entry fee includes an awesome player pack. Lunch on Saturday and Sunday. Complimentary water, tea and coffee, free sunscreen, complimentary beer from Altitude Brewing. Prizes available. Trophies in most divisions. Closest to the pin prizes. Awesome fun. 2 x 18 holes of doubles. (Format to be confirmed). Normal PDGA rules apply and local rules will be announced at the players meeting. QDGC will do their best to keep this tournament running to schedule. Queenstown is serviced by a domestic and an international airport. With options to fly direct from major cities in New Zealand and most east coast cities in Australia. Transport options include helicopter, bus, fighter jet, taxi, hot air ballon, walking, paraglider, skateboard, bicycle. I’m thinking that most of you will choose to rent a vehicle. Queenstown is a major international tourist destination, so most car hire companies are located in town or at the airport. The Queenstown disc golf club are ready to host its second big tournament of the year. The tucker beach ‘Rush’ is set to return to the Wakatipu basin, and we are ready to showcase this beautiful part of New Zealand to the world. This year see’s an extended course with some new hazards in place. A solid long game is still required but those soft finesse shots will be required also. – Mens open, Mens masters, Mens grand masters, Mens senior grand masters, Womans open, Under 18. **If there is only one entry into a particular division, that entrant will be put into the next lowest division where it will make at least two entrants. Grab a friend and try your hand at Frisbee Golf. Ambrose Doubles is a fun format where people play in pairs and both partners play every throw. The best throw is selected then both players take their next throw from that position. This enables you and your partner to both help each other out and typically get lower scores than you would by yourself. There are two divisions in this Ambrose tournament – Open and Mixed Doubles. Prizes for first, second, and third. Enter on the day. Registration at the rotunda in the Queenstown Gardens, by the Lily Pond, from 12 p.m. for a 1.00pm start. Get into it, we know you are going to love it! Three days of disc golf tournaments, on three different courses, to celebrate 20 years of The Helicopter Line Queenstown Classic Disc Golf Tournament. Please note that the Paradise courses are long and unforgiving, with tiger, disc-swallowing rough, so more suited for experienced players, rather than beginners. The 20th Annual The Helicopter Line Queenstown Classic Disc Golf Tournament will take place in the Queenstown Gardens on Saturday 7th March, 2015. Lunch refreshments will be provided. Gather beside the Queenstown Gardens rotunda at 9.30, for a 10 am start. Entry fee for the tournament is $40, which includes a 20 years Tournament T-shirt. The AJ Hackett Bungy Hole in One competition will be held right after the Helicopter Line Queenstown Classic. A special hole will be set up across the lily pond in Queenstown Gardens. A voucher for the Nevis Swing (includes Photos & Video, RRP$275) will be up for grab, thanks to AJ Hackett Bungy. The 17th Annual Dart River Jet Safaris Paradise Plates Disc Golf Tournament will be held at the Paradise Trust property on Sunday 8th March, 2015. There is an 18 hole Doubles Tournament there on the Sunday morning, with trophies available. This will be followed by an 18 hole Singles Tournament in the afternoon. There will be prizes for the winners in some divisions. Gather at the Garden of Eden at 9 am, for a 9.30 am start for the Doubles. The Singles starts at 1.30 pm. Entry fee for the whole day is $25. Or play both Paradise days for $35. As part of the tournament, there will be a New Zealand Disc Golf Jungle of Fame party on the Sunday evening. Dress as your own Jungle animal, or any animal whatsoever. This is an 18 hole Singles Tournament. Gather at the Garden of Eden at 10 on Monday for a 10.30 start. Entry fee for the tournament is $20. The Paradise Trust property is just past Diamond Lake, Rapid No 1771, beyond Glenorchy (directions available on request). Accommodation there is fully booked in 2015. If you have booked into Paradise, you will need to be self-sufficient e.g. food, camp stove. Hot drinks will be provided at Frisbee HQ. No camping, no dogs. For enquiries, please contact James Smithells, on either james.smithells@xtra.co.nz, or phone 03 442 4651, or 021 26 44 008. Tucker Beach disc golf course is not for the faint hearted. You’ll need to make your discs fly well. At 2,125 mtrs in length, with 5 par 4’s and a 255mtr par 5, this course will test the biggest arms. Don’t forget that Queenstown has some beautiful mountains with the white fluffy stuff on them so if your up for a slide then don’t forget your skis and boards. Massive thanks to our sponsors Small Planet Disc Sports, Discraft, Shotover Jet, AJ Hackett, Rydges Hotels, R&R Sports, Outside Sports, H&J Outdoor World, @Thai restaurant and the many other supporters of the Queenstown Disc Golf Club. Special mention to ‘Pub on Wharf’ for their support also. $35 pre registration (closes 23rd July) or $40 on the day. Mens open, Masters, Grandmasters, Senior Grandmasters, Womens open and Under 18’s. Normal 2014 PDGA rules will apply during the tournament, and local rules will be announced at players’ meeting. All efforts will be made to keep this tournament on schedule. SMALL PLANET DISC SPORTS will have a big selection of discs for sale over the weekend.